TM1 10.2.2 Support Ends in Sept 2019: Schedule your upgrade here before time runs out! Dan was the founder and CEO of Applied Analytix, a QueBIT company. 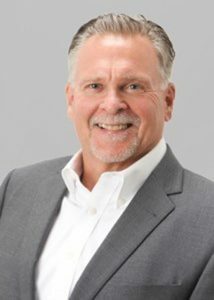 Prior to Applied Analytix, Dan served in many different roles, including controller, director of FP&A, CFO, and management consultant at Price Waterhouse Coopers. He has developed financial planning, forecasting, budgeting, analysis, and reporting solutions for well over two decades. After having personally implemented solutions at all of the early Applied Analytix customers, he currently advises the consulting staff on complex implementations and building strategic models for our customers’ analytical needs. Dan has also had a long career as a speaker, instructor, and Excel guru. He has presented seminars, classes, and workshops on Microsoft Excel, Cognos TM1, and business analytics at IBM conferences. He also presents at other organizations, such as the California Society of Municipal Finance Officers, the League of California Cities, and the Institute of Management Accountants. He earned an undergraduate degree in Finance at Indiana University and holds Masters degree in Business Administration. I consent to QueBIT collecting my contact information.